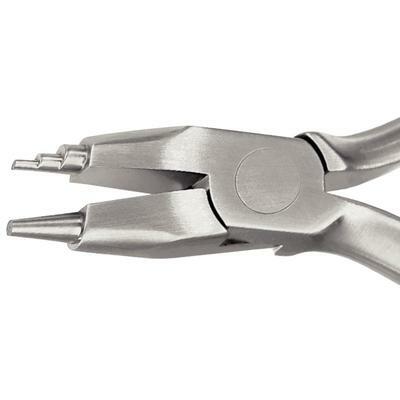 Marcotte Looping Pliers are for precise forming of helical loops and T loops on wires up to 0.022" x 0.025" (0.53 mm x 0.64 mm). All Hu-Friedy orthodontic instruments are hand crafted from Immunity Steel® to ensure long-lasting, precision performance. The ergonomic design provides maximum comfort and safety to both dentist and patient.